Before I could identify bird songs they all sort of blended together. Learning how to identify bird songs by ear is super important to develop great birding skills. It’s for me like wearing a comfortable blanket. I feel secure when I know who is singing around me. It makes me feel like I’m maybe a secret governmental agent who is always aware of their surroundings. They know where everybody is seated in a room, right, so it’s kind of like that. It allows me to go out into the forest any time of the year and detect a lot of the birds that I might not be able to see. If you’re just starting out trying to learn bird song, go slow. Once you know the songs and you know the mnemonics it’s much easier to figure out which sounds belong to a single individual. How often do you get to see a Connecticut Warbler? But if you hear it you’re like Oh! I know that there’s a Connecticut Warbler in here and I’m going spend some time searching around looking for it. You’ve just stepped outside and there’s an unfamiliar chirping nearby. A quick look around and there is no bird in sight, but the song keeps coming. Frustratingly, you have no idea who is singing. On top of that, you hear a bunch of other birds in the distance. It’s happened to all of us. We developed this course to help you learn how to tune in to bird song and gain confidence in birding by ear. Master techniques for identifying bird songs that you can apply to learning the birds in your area. Travel across the country exploring real soundscapes with Dr. Sarah Wagner as your guide. She’ll introduce you to an exciting variety of wild voices and bring in Cornell Lab experts to teach you tips and tricks for learning to identify them. You’ll explore 7 natural soundscapes and get to know 18 featured birds before unleashing your new listening skills on a mystery soundscape. You’ll watch field clips of birds singing, get to know their songs, and then learn to recognize them in context with our Bird Song Spotlight tool. How to Identify Bird Songs uses a unique teaching approach. Travel North America visiting real soundscapes. Mya Thompson is the Project Leader for Bird Academy where she specializes in creating innovative eLearning tools. She serves as producer and instructional designer for all of the platform’s courses, games, and interactives. Her past research on infrasonic elephant communication inspires her to help people uncover the many surprises that animals have to offer—from the behavior of the largest mammals to that of the smallest birds. Get started building up your birding-by-ear toolbox—learn how to visualize and describe bird song and commit sounds to memory with a little beak reading. Get tips on how to use natural history cues help you narrow down your identification. Explore a serene soundscape from the mountains of California and then go deeper to learn which bird voices are joining the dawn chorus. Plus get expert listening tips for training your ear to notice the subtle bird sounds mixed in among the more obvious ones. 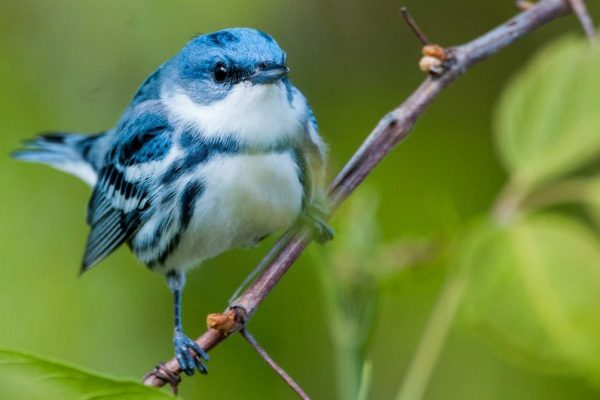 Visit a healthy woodland in central New York full of birds singing their hearts out and train your ear to distinguish among the distinct voices. 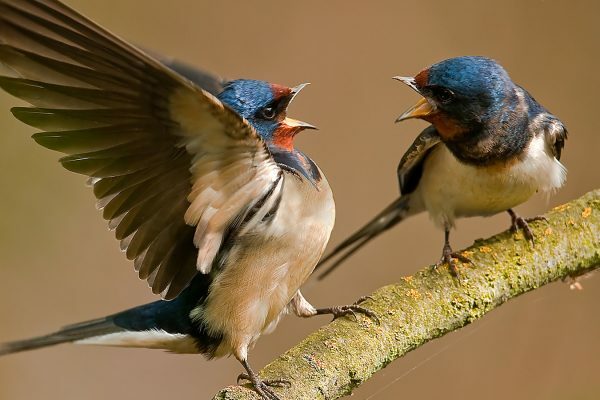 Learn the difference between bird calls and songs. Journey to a remote volcanic island off the coast of Alaska where seabirds and forest songbirds create an abundance of sound. Learn the difference between the songs of thrushes and wrens. It’s oasis time. Listen to the birds (and insects!) clustered near the small Bill Williams river in the Sonoran Desert, Arizona. Develop your skill in isolating one bird song from another with expert tips on how to tune in to directional cues in the field. Tune in as some beautiful songsters announce themselves in a peaceful scene from coastal Maine surrounded by a balsam fir forest and calm inlet waters. 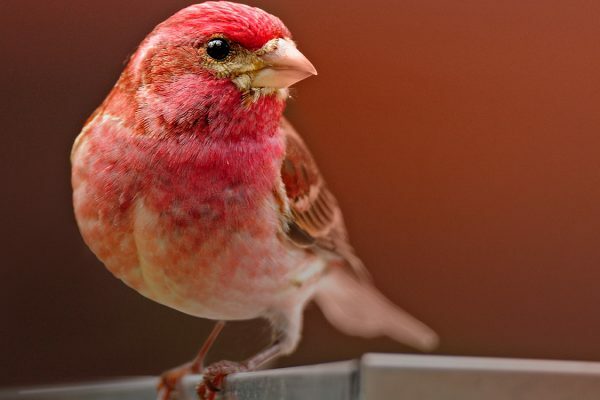 Explore ways to categorize the pitch and sound quality of a bird song—is it high-pitched, low-pitched, buzzy, chipping, or trilling? Visit a birding hotspot in Texas Hill Country where you’ll meet not one but two endangered songbirds. Practice paying attention to the entire song – don’t expect to be able to identify the bird in the first few notes. For some species you need to hear the whole thing. 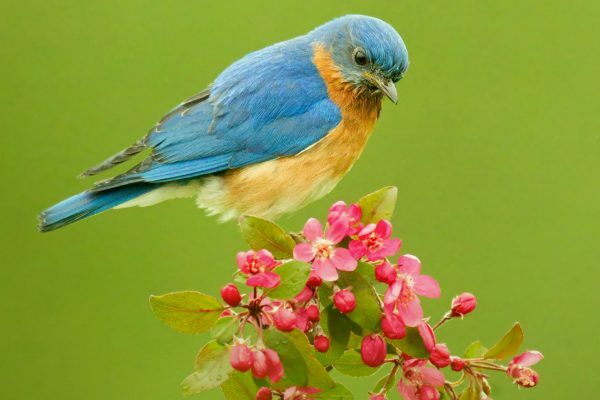 Now that you’ve trained your ear to listen for all kinds of bird songs, get tips for putting your new skills to work identifying the birds that live near you. Take the Mystery Soundscape Challenge to practice and earn your certificate. 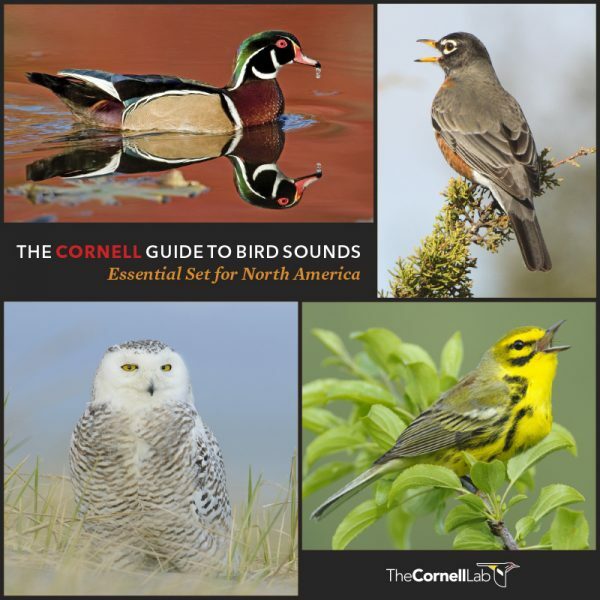 This authoritative audio collection from the Cornell Lab’s Macaulay Library is included as a free bonus with the course to help you learn the voices of the birds that live near you. Within the course, you’ll receive online access to this digital collection featuring the most common songs and calls of 729 North American species with more than 1,300 mp3 files included. Another great tool for your birding-by-ear toolbox! Buy Be a Better Birder: How to Identify Bird Songs Now! 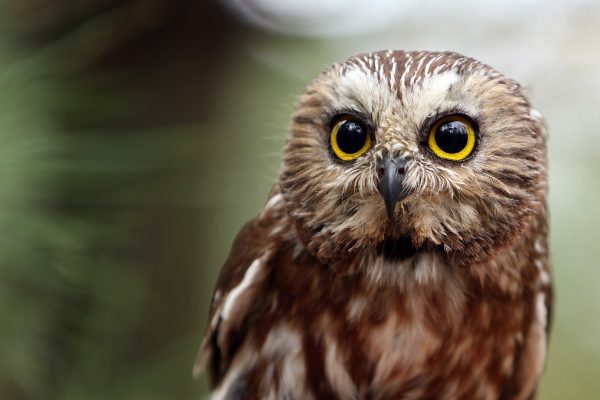 Birds imitated (in order of appearance): Mourning Dove, Northern Cardinal, Barred Owl, Eastern Screech Owl, Asian Koel, Yellow Warbler—Sweet, Sweet, Sweet. Isn't it Sweet?, White-throated Sparrow—Old Sam Peabody Peabody Peabody!, Olive-sided Flycatcher-Quick three beers!, Eastern Towhee—Drink Your Tea!, Warbling Vireo—I'll see you and I'll seize you and I'll squeeze you 'til you squirt!